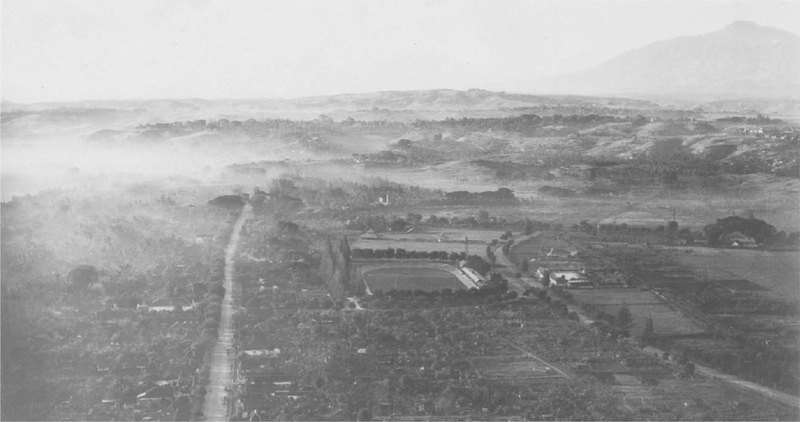 The Semarangsche Stadion, currently well-known as Stadion Diponegoro as shown in reconaissance photos in January 1945. The complex in its opposite to the right is the Gementelijke Zwembad, currently turns into culinary centre. The needs for sport facilities in the modern city is couldn't be denied, there’s countless car-free day event every weekends thorughout cities in Indonesia to accomodate the needs of its citizen to do sport. Just like what Latin phrase said Mens sana in corpore sano which translated as there’s healthy mind in a healthy body. In the city of Semarang, the efforts to provides public sport facilities once were one step ahead among the cities in Indonesia and its provided by such a crowdfundings movement among its citizens, isnt provided by the government. 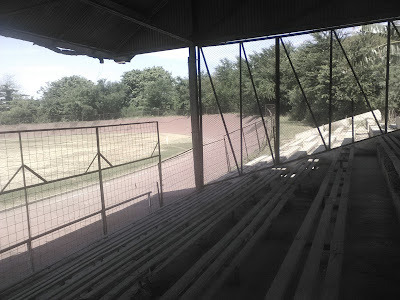 A stadium but not only accomodate football activity but also standardized athletics tracks and even cycling and motorcycle race tracks, hence its consider as the first modern sports complex in the Dutch East Indies, present day Indonesia according to the Locale Techniek Journal Vol. 3 Issue No. 5 published in 1934. Its pioneering modern style stadium at that time time where its not only an open area for sport with tribunes for its spectators, but also with supporting facilities such as changing rooms, toilets and the other spaces required to support its activity. These changing rooms in the stadium each equipped with a lavatory and shower with hot and cold water. The hot water is obtained by means of a hot water appliance, made by Askania-Werke AG, a Germans company, which works automatically and amply meets the required requirements. Furthermore, each dressing room is equipped with a washing table with mirror, coat hooks, table and benches. cycling track (velodrome)with two warring tricycles. 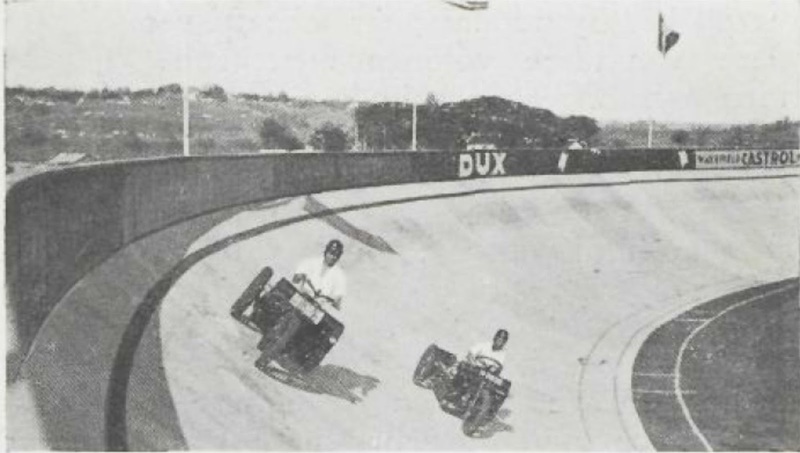 Besides a football field on its largest dimensions and a modern cement cycling track made of stamped concrete with 10 cm thick sheets whereas this so-called velodrome was the first in East Asia as its mentioned also in the journal! 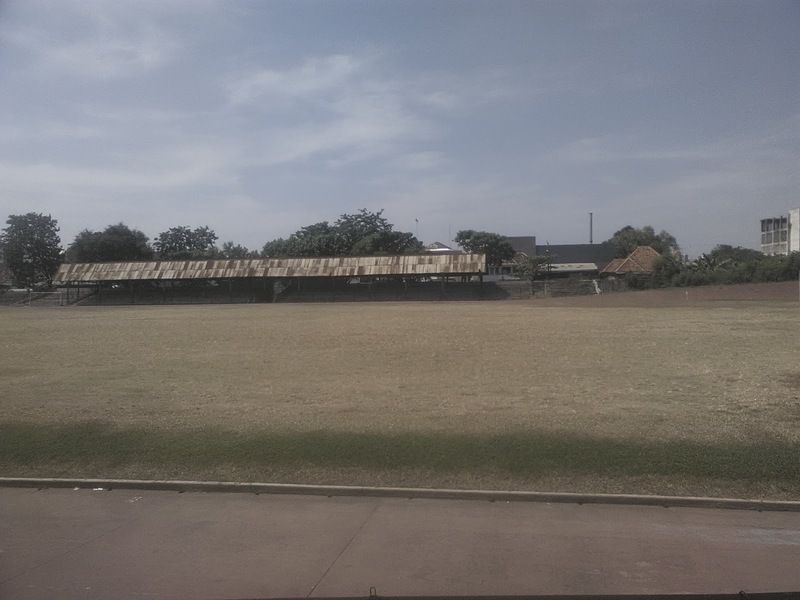 Its indeed that this kind of sport facilities is not the first in the colony as before it there’s several were built e.g Malangsche Stadion or well-known as Gajayana Stadium, opened in August 2nd 1926 which actually much simpler than the Stadium of Semarang. Another its predecessor is in Solo, which only different couple of months with Semarang. The Sriwedari Stadion in Solo which initiated by Sri Susuhunan Paku Buwono X, Sultan of Solo, officialy open in January 1934 and Semarang is in April 1934. As reported by a Bataviaasch nieuwsblad, the opening of Semarang Stadium held on Sunday, 29th April 29th 1934. The opening was enlivened by several activity performance which is started with a football match of Semarang vs Solo, a relay race, a gymnastic demonstration of 950 students, Holland-China korfball match, and closed with cycle and motorbike race which involved riders from Batavia, present day Jakarta and Semarang. To attract the events, the committee cooperate with the major railway company at that time, Nederlandsch Indische Spoorweg Maatschappij (NIS) that for Solo-Semarang, Yogyakarta-Semarang and Surabaya-Semarang lines it allow groups of ten or more people a reduction. The soccer field covered with Lamuran type of grass, and around it once used as an athletic track of 4 meters wide, then next to it directly the cycling track made of concrete 7 meters wide. Its very interesting once again to found out that this Semarangsch stadium, nowadays well-known as Stadion Diponegoro was created and built by private initiative. Because of the fortunate circumstance that a very favorable building site was being put into operation by the Administration Office of Peterongan, its possible to change the city plan with the help of the city's urban advisor Semarang Ir. Th. Karsten as required and to ensure that the access and exit roads to the stadium were provided. The design of this stadium itself was based on the idea: how can we classify a sports park, which meets all the requirements, on a surface that is as small as possible, with a view to the cost price of the land. The tribunes had to comply with the following information for seating and standing space provided by local associations: main seat stand could accomodate around 1.000 places and the standing places around 8.000. This space consider to be sufficient enough for a large competitions at that time. Its also equipped with such a high-end lighting facilities which consists of 4 pieces of 32 m high masts, partly from the overhangs of the tribunes. Eight spotlights are mounted on each mast for the 1000 Watt football pitch lighting, so that the field is illuminated by 32,000 watts, giving a light intensity of 30 Lux on the field. This lighting is excellent. The illumination of the cycling track is done from the masts before the bends; for straights from the stand The bends are illuminated with 6000 watts each, while the straights are also illuminated with 6000 watts each; total 24,000 Watts. 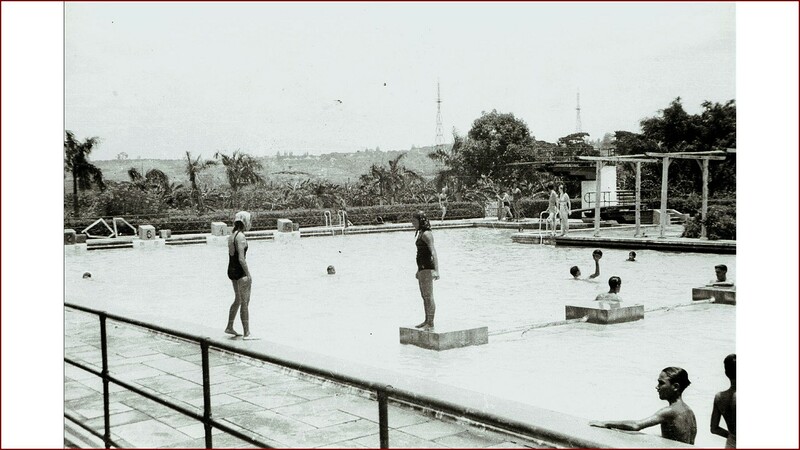 Semarangsche Gementelijke Zwembad in 1947 by C.J. (Cees) Taillie, a photographer and reporter that serves for Dienst voor Legercontacten (Service for Army contacts) during the Indonesian Independence Revolution period. main water sources for the Semarangsche Gementelijke Zwembad. 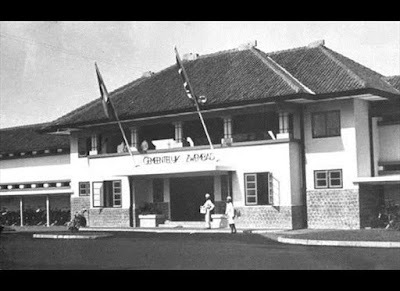 Later in 1941, a large swimming facilities accross the stadium were built and its designed by Liem Bwan Tjie, the Semarang born architect which famous for its art-deco style. Its has an Olympic-size swimming pool where the race course is 50 metres (164.0 ft) in length and its provided with cafetaria as its supported facilities. 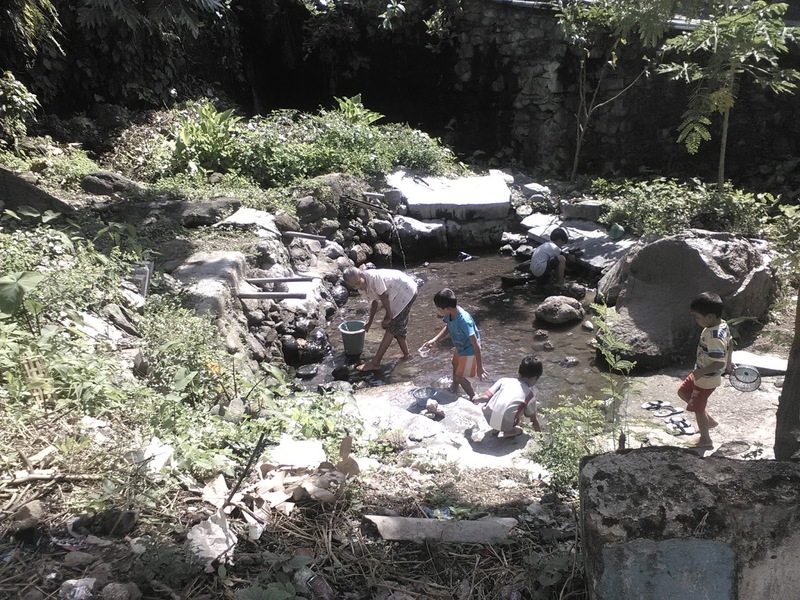 The water for this brand new swimming pool provided by the natural springs in Candi Stoom, distributed with the pipeline network almost 3 Km away. 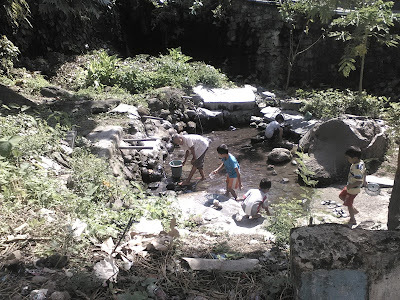 This springs currently the only natural springs that still preserved in the downtown areas of Semarang, and serves as the water sources for the neighborhood surround it. Well its not like the stadium in its opposite, its built and managed by the Gemeente (city municipality) of Semarang, thus its called Semarangsche Gemeentelijke Zwembad. Bataviaasch nieuwsblad on its articles reported that on its opening that held in October 25th 1941, the municipal authorities invited the Dutch Indies Swim Club to organize a competitions between swimmers from Batavia, Bandung, Surabaya and Malang. Couple of polo teams came over so that the opening of the swimming pool grazed by large swimming competitions that cost the municipality ƒ 750.- for the opening. designed by famous Semarang born architect Liem Bwan Tjie. The fate of this sport complex nowadays does not reflect its glory in the past at all. Either the stadium and swimming pool were declined over the decades. The swimming pool even closed in 1999 and turns into a culinary centre with several tenants inside it, and the pool were converted into skate area and fish ponds. The stadium were lucky as its still stood till today but its badly neglected. The peoples nowadays mostly recognized the stadium as the place for concert, and also place for buy a book with cheap prices, as in the east sides of the stadium wall there’s bunch of seconhanded book seller tenant. There’s an rumours in 2013 appears to public from the online advertorial that the stadium will be sold for Rp 260 billion which soon afterward generates a lot of criticism regarding its historical value. But then the 4th Military Area Command of Diponegoro as the current owners reject the claim and said its no way for them to sold the property as its belongs as the national property of Republic of Indonesia.